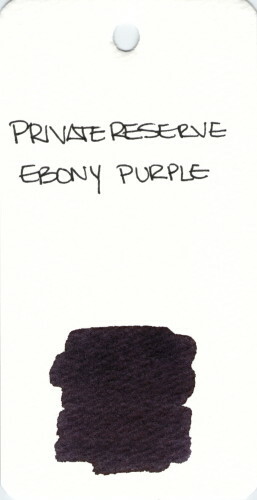 Another Private Reserve ink for today. This time, Ebony Purple. I love the deep dark richness of it. Goulet Pens included this ink in their January Ink Drop. Thinking about picking up a bottle of this one. So many purple inks, so little time.